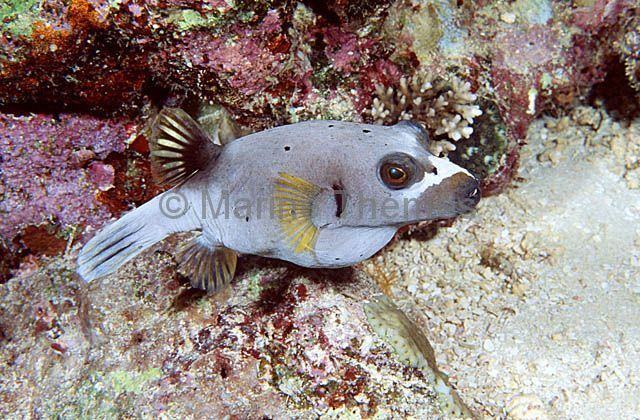 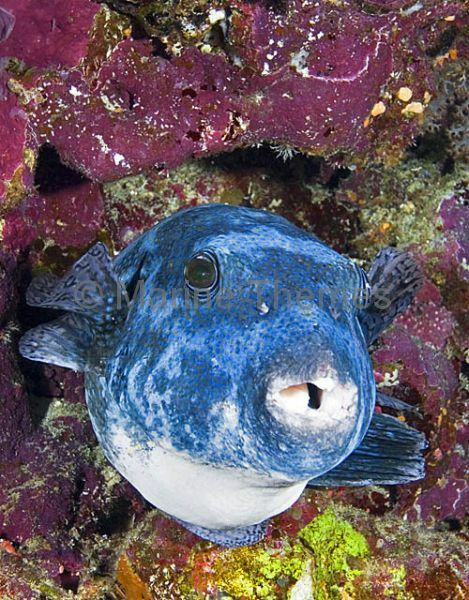 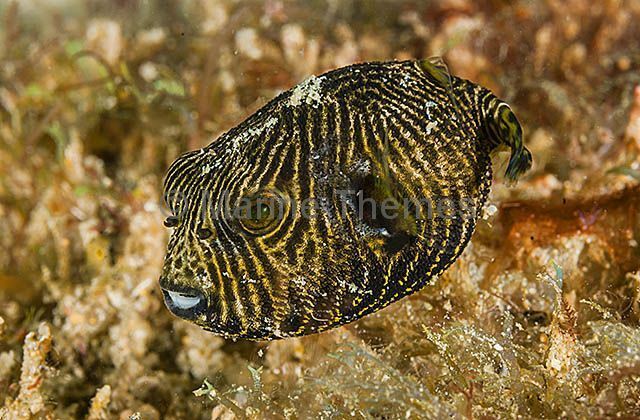 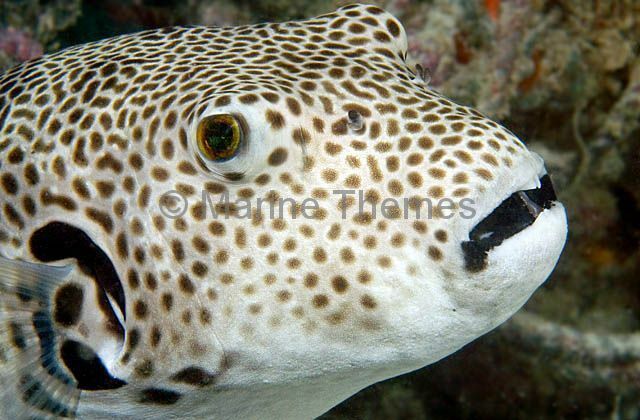 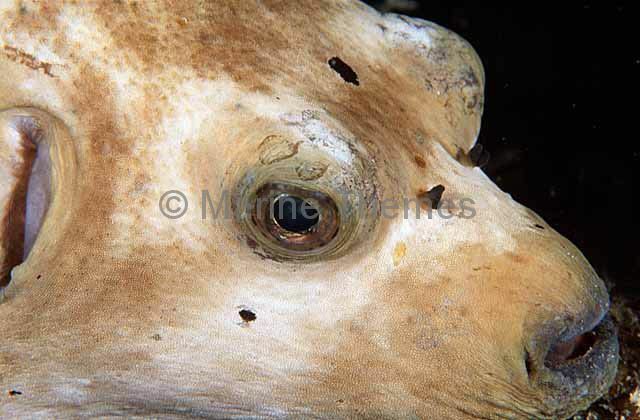 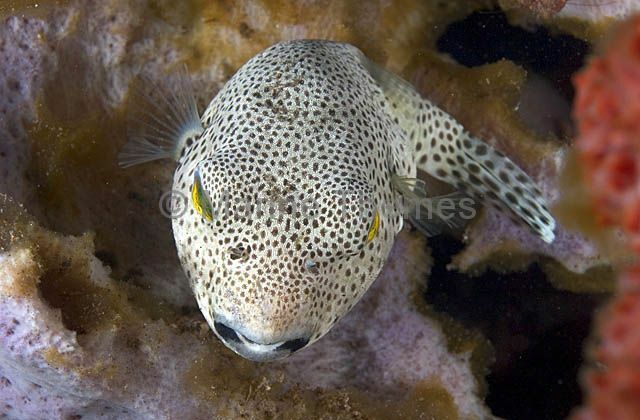 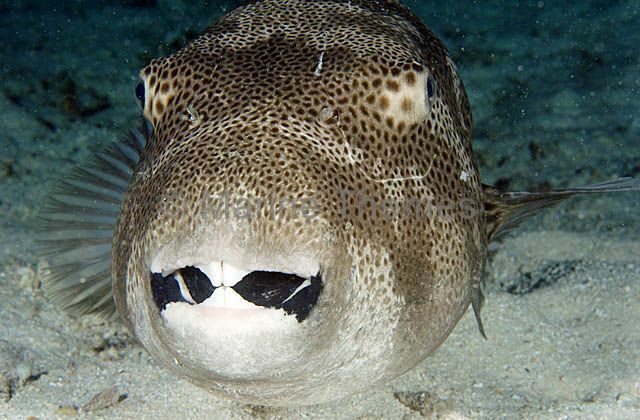 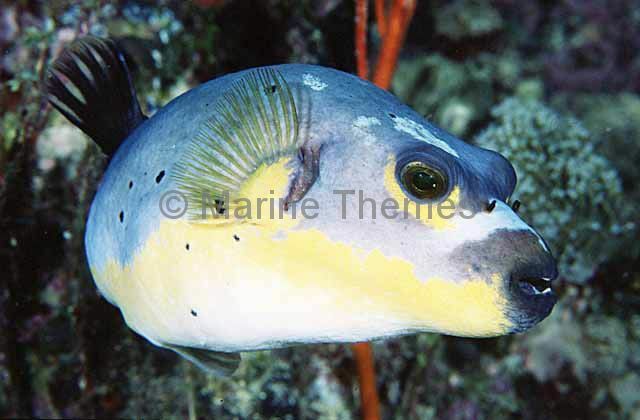 Blackspotted Puffer Fish (Arothron nigropunctatus) portrait. 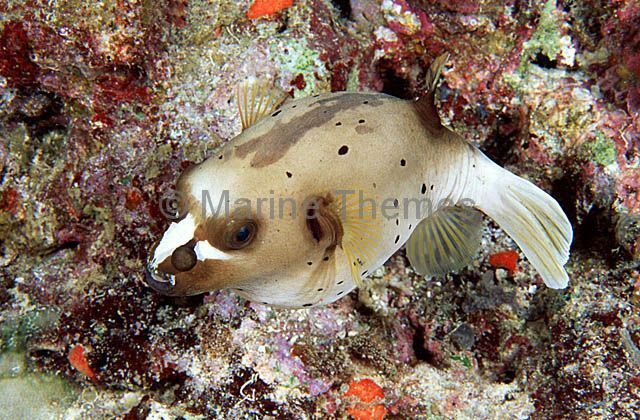 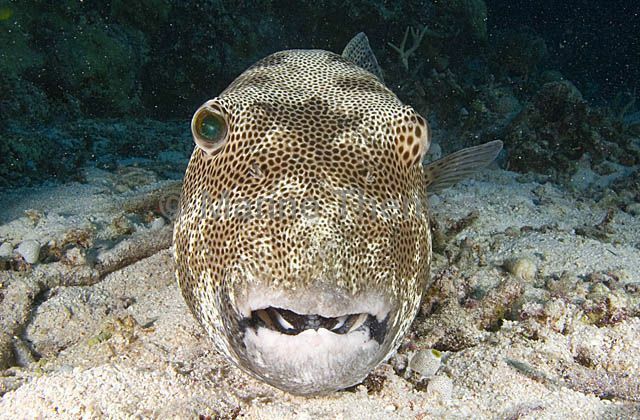 Blackspotted Puffer (Arothron nigropunctatus) resting under coral ledge. 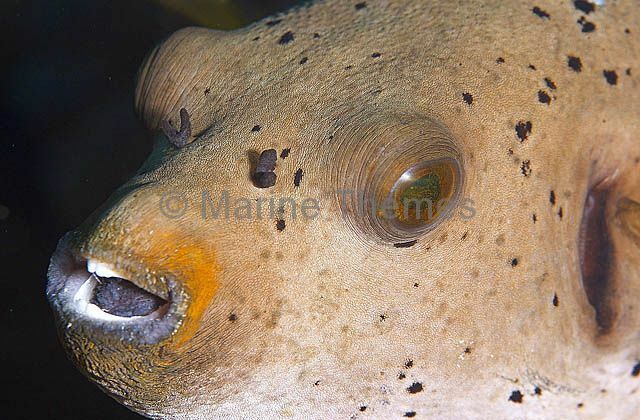 Star Puffer Fish (Arothron stellatus) Sleeping. 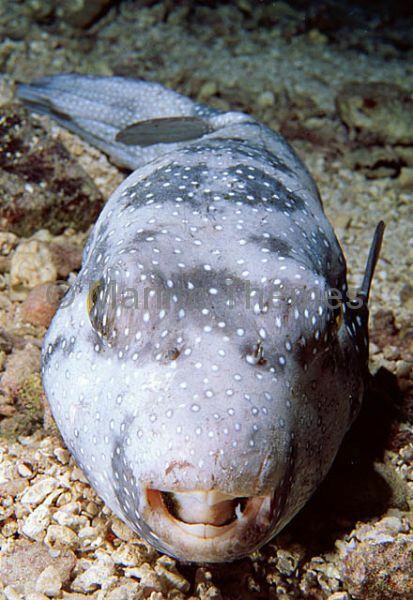 Poisonous flesh contains deadly tetraodontoxin. 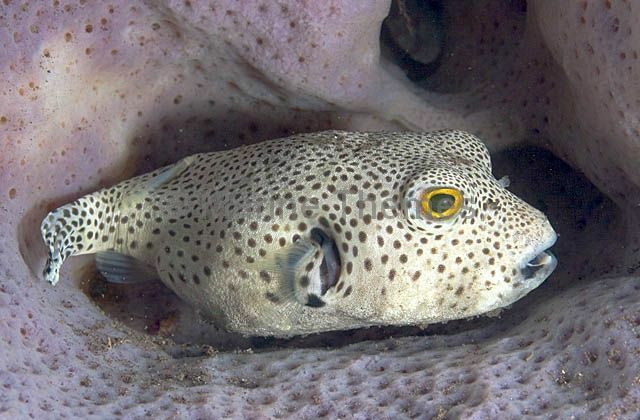 Star Pufferfish (Arothron stellatus) resting in sponge. 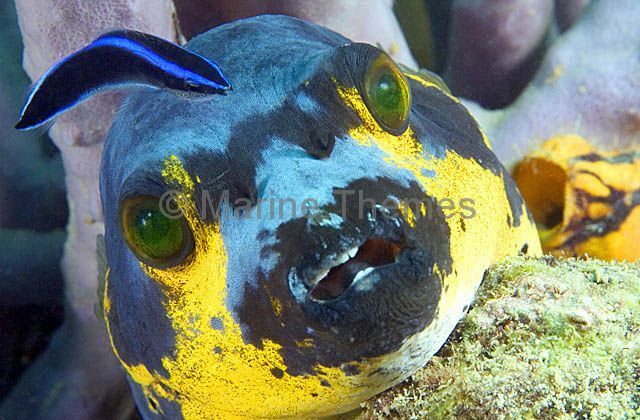 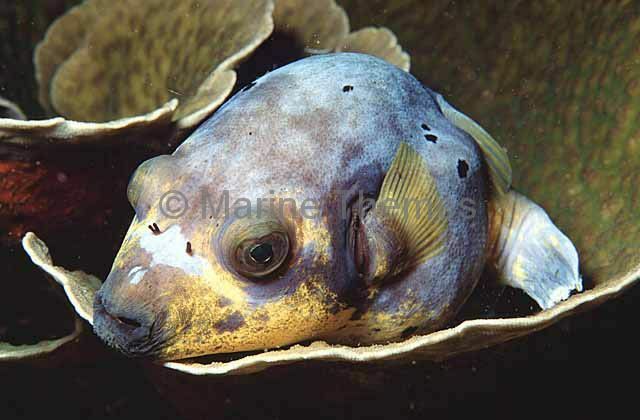 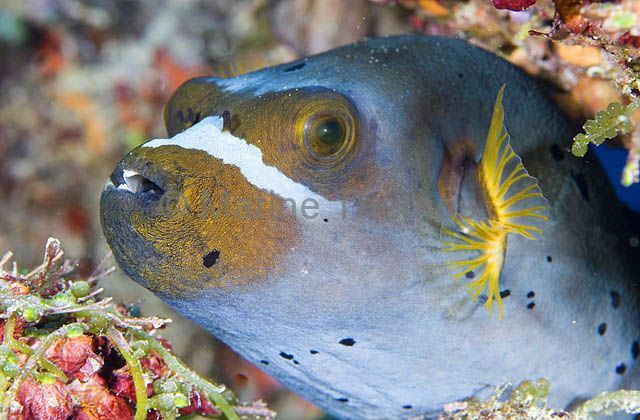 Star Pufferfish (Arothron stellatus) feeding on algae growing on sponge. 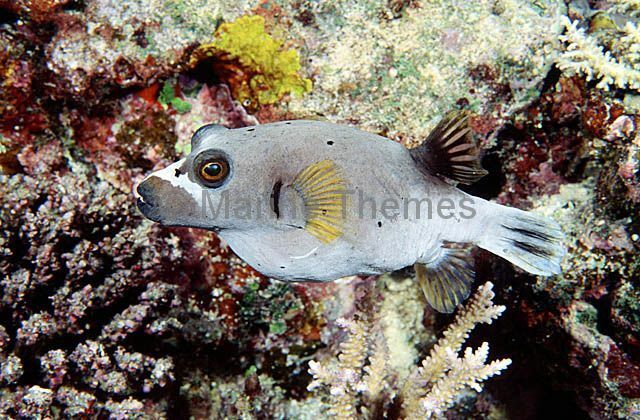 Star Pufferfish (Arothron stellatus) resting on coral reef sand flats. 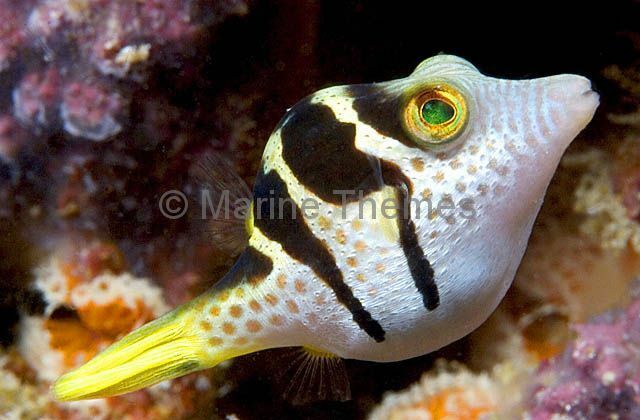 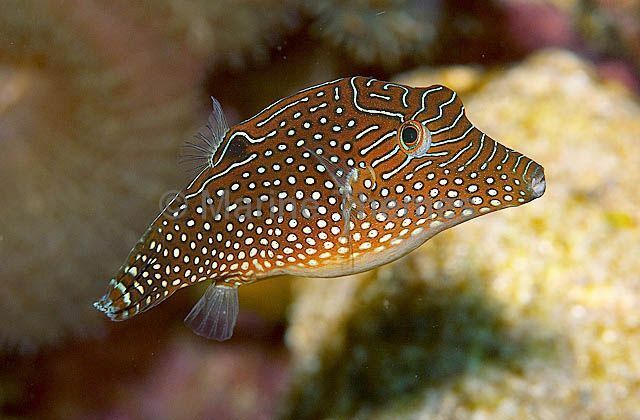 Star Pufferfish (Arothron stellatus) Juvenile. 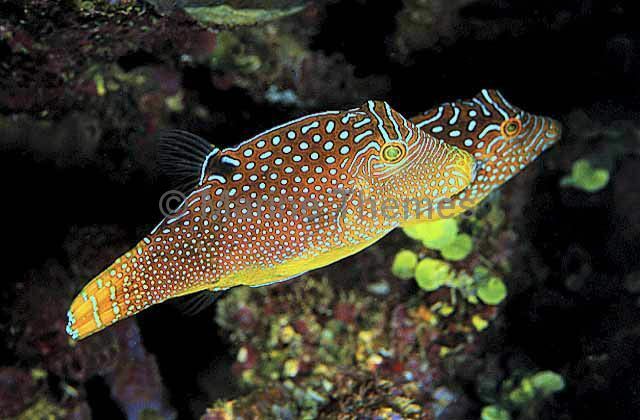 Ambon Toby (Canthigaster amboinensis) Juvenile.